Our Growth and Trading Portfolios Are Still Beating The Market! 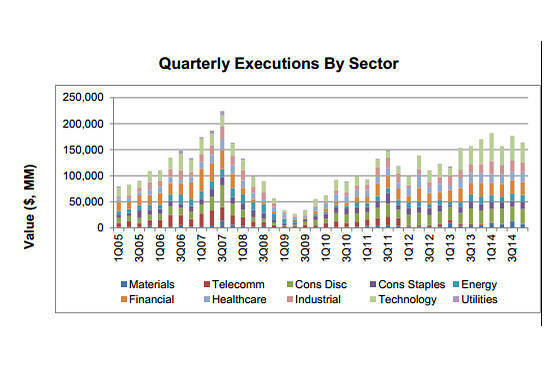 Total authorizations for buybacks in 1Q 2015 reached an all time record of $257 billion. 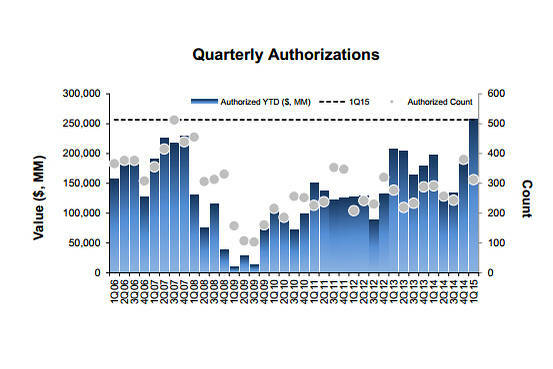 At current pace we can expect total authorizations to exceed $1 trillion.